Nice to keep on a healthy path and still enjoy "gameday foods!" These are our go-to meal pretty much every time we feel like firing up the grill. My hubby loves wings and this gets him his fix without all the fried fatty-ness. And I LOVE how many veggies are used in it. So so good! Made these tonight, and they were delicious! The husband loved them too, and couldn't believe the slaw was made of broccoli. I made the blue cheese dressing as well, and had to sub red wine vinegar for white, and it still tasted great, better than any light versions I've bought before. Thanks Gina, your recipes are worthy of making for the first time when company is coming over, and that says a lot! Love your blog. These were amazing. Definitely a recipe to repeat. 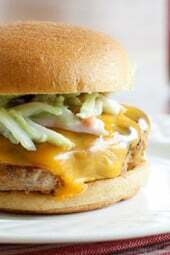 Hands down the best turkey burger recipe that I've ever made…ever! I typically try to follow recipes step-by-step the first time I make them, then I'll make adjustments the next few times. This is the third recipe I've tried from Gina, and I wouldn't change a single thing on all three of them. These burgers were delicious! Great flavor from the hot sauce and the onions and carrots kept the meat moist (which can be difficult with ground turkey). The broccoli slaw gave a really great crunch and added a nice texture. I'd make these over and over! 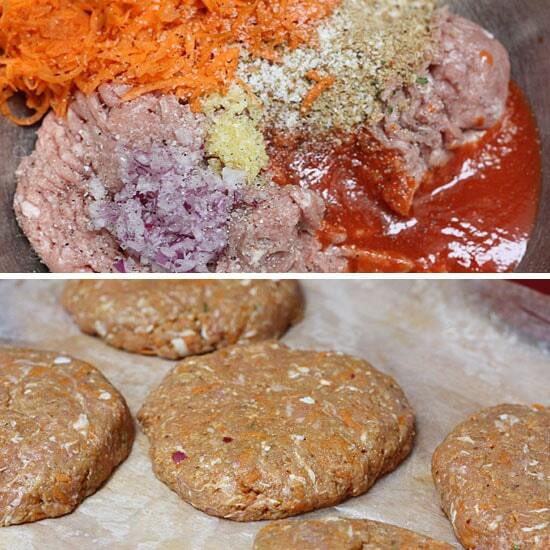 I love turkey burgers, and I'm thrilled with your idea to add carrots into the patties. I never would have thought of that. I also love your broccoli slaw! Great recipe! These burgers are AMAZING, but they really fall apart and stick to the grill (no matter how much non-stick spray I use). Any tips? Does this happen to anyone else? These are great! My only issue I had was I couldn't get it "buffaloy" enough. I might try the extra hot Frank's next time. Also, I really want to try this as a meatloaf in the fall with chunks of blue cheese throughout. OH MAN!!! SO GOOD! I made these last night. Omitted the carrots simply because I didn't have any, and upped the onion and garlic a bit, using egg whites to bind it all together. It was soooo tasty! My mother in-law loved the slaw and asked for the entire recipe! TY Gina! This is a winner. Do you have the calorie count for just the buns and the burger? I'm not a huge fan of the brocoli slaw&blue cheese. Made it the other day like that and it was delicious just not sure how many calories it is! Worried about finding substitute for Franks sauce in the UK, but Asda now sell it so it was full steam ahead. You must try them, they taste so good. Thanks for another amazing recipe. I thought these were going to be just okay as I tried to make them on a George Foreman, and they burned a little. HOWEVER…they were amazing! I added some extra Franks on the bun, as I like my food spicy. My husband reported that they were just okay, but he's pretty hard to get a "good" out of. My 3 year old wolfed his down too. I didn't give him the coleslaw or extra Franks, rather ketchup. These are fantastic! I made them before going camping for the weekend – my husband absolutely LOVED them! I was skeptical but after one taste I was a believer! These burgers were amazing! Just made these for the second time. Just fabulous. Forgot to say, I love it when you are at the grocery right after they mark down the meat with the next day's date on it. Last week I got 5 3-lb packages of ground turkey marked down 50%, to 3.49 each! Can't wait to try these. I know my husband will absolutely love them, too. For those wondering about the broccoli slaw — I only recently discovered it after my aunt told me she had been using it in her salads. I started doing it too — gives a salad a new texture and crunch, not just boring lettuce, and I really don't think it even tastes like broccoli. YUMMY! I haven't made a recipe yet off this site that I didn't like! Thank you so much, Gina! You rock!!!! My store doesn't carry broccoli slaw (or whole wheat bread crumbs for that matter 🙁 ) I bought coleslaw instead. Was there a reason you chose broccoli slaw in terms of calories/health- I'm thinking that it shouldn't affect the points value since everything is made from vegetables but wanted to make sure. I just made these burgers for my family and they were a HIT! We are trying to get on the healthy train after years of not doing so well, and we couldn't even tell the difference! These are definitely going on our favorite go-to foods list. Thanks! I made made buffalo turkey burgers last week (with pre-made, frozen turkey burgers, just sprinkling the franks red hot on top while cooking) and then melting bleu cheese on the top. 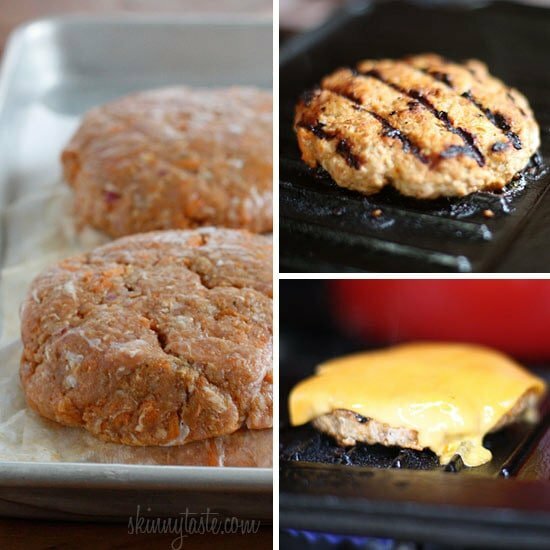 I can't wait to try these homemade burgers, though, they sound amazing!! If these were frozen raw, is it necessary to thaw them before cooking? I really enjoy your recipes. I made this yesterday and both my 4 year old son and I enjoyed it! The flavors were great. I added a small amount of Frank's hot sauce since I didn't want it spicy for my son. Next time I will make 2 batches because I do like a little kick in my food. Also I was not able to find brocolli slaw anywhere so I just used regular cole slaw and it was delicious! These were so delicious! My boyfriend and I gobbled them up and I can't to make my leftover frozen one this week! They were ridiculously easy to make. I can't handle a lot of spice and these were perfect as is. Thank you Gina!! Made these this weekend with ground chicken and they were absolutely delicious!So many times I can't taste the hot sauce in the buffalo type dishes, but in these it was perfect! I just realized that I accidentally made these with ground chicken instead of turkey (picked up the wrong one). Should I re-make them or will it taste similar? I made these burgers last week and they were wonderful! Only change was I used regular coleslaw mixed light ranch and it was great! My three year old said "mommy I love these spicy burgers!" Will make again! Loved these! I only had Sriracha sauce in the fridge. Wasn't sure if that was similar to Frank's Hot Sauce so I decided to cut the quantity in half and add some Chipolte grilling sauce for the other half. Delcious! Just the perfect amount of kick. I topped with light mayo cut with dijon because I didn't have brocoli slaw on hand. My husband and I each lost 10lbs since January following your recipes. We are at our healthy goal weight now and am enjoying maintaing it with your inspiring recipes! Wow!!! These were AMAZING!!! And my husband loved them too! Great, healthy recipe! Love this blog! I am allergic to Turkey and I don't like Bleu cheese. Also, I don't really like burgers, and my husband hates rolls. Can I make this with beef, into a meatloaf and put ranch dressing on it? Some people's comments and questions really crack me up. If you don't eat certain things, make the necessary substitutions, or just don't make the recipe! I made these last night and all I can is they are freakin' amazing! The blue cheese dressing is fantastic too! This has become an instant favorite! A friend recently introduced me to your blog (three of us started Weight Watchers a few weeks ago) and I'm so excited to try everything out! What type of whole wheat seasoned bread crumbs do you use? These are good!!! Added a little franks hot sauce on top of the burger as well. Yum. My family flipped over this!!! They absolutely loved it. The teenager loved it, hubby loved it and I made one sans hot sauce for my 5 year old and he said it was the best burger in the world. I can RARELY get him to eat any meat at all! You are fabulous. You should be famous! I LOVE THIS ONE!!! I plan and shop for meals two weeks at a time and 90% of the time, they are your recipes. 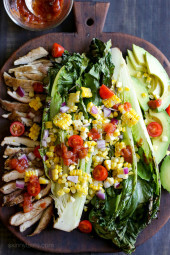 You make it so easy to cook healthy and flavorful dishes that my husband and kids LOVE. Left the hot sauce out of some of the meat so it wouldn't be too spicy for the little ones but they gobbled their "hamburger cheese" up!!! I brought your website up with the intention of looking for another recipe but got distracted and left the room – my husband came in and saw these on the main page and was like "PLEASE MAKE THEM FOR ME" so I did. And they were soooo good! Made this on Friday night. HUGE hit with the boys. Thanks Gina. Made this last night, with rave reviews by all. Yet another winner. Gina, you are my guru. Truly. This looks amazing. It is my goal to make this recipe soon! It looks sooo good. My boyfriend and I don't always agree on food… I was surprised to find the only thing he wasn't fond of with these burgers was the carrots! I can work with that. Thank you so much. This has been happily added to my "keepers" recipes. I made this last night for dinner, absolutely delicious!!!! I even made your blue cheese dressing. My husband loved it as well. I will most definitely be making these again! I am sooo making these for Memorial Day weekend! They sound AMAZING! My husband is a big fan of anything with hot sauce so I made this over the weekend, minus the broccoli slaw. They turned out AMAZING! They were far from dry like regular turkey burgers usually turn out for me. Not sure if it was because of the carrots or the hot sauce or both. This recipe is def. a keeper!! Made these yesterday for a bbq and everyone loved them, they were a hit! I made these tonight minus the cheese and they were awesome!! I, of course, added extra Frank's on top of my burger since I like some good spice. I will definitely make these again! 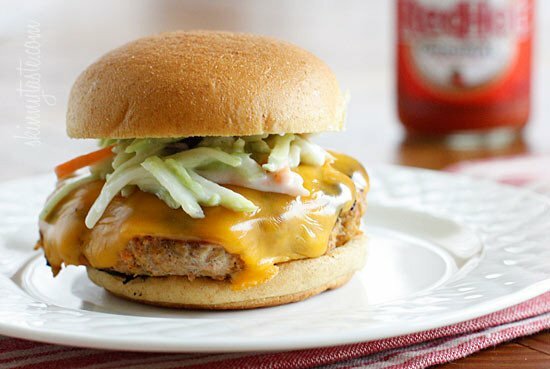 Looks tasty; I know a place that adds avocado to their turkey burger sliders to keep them moist, but the carrots and onion will keep the cost and the fat down. I love spicy foods so this burger is definitely one I want to try. You can click on vegetarian or vegan at the right to find recipes you might like. How about starting your own skinny vegetarian recipe blog? people would love it, too! Wow, OP. Could you be any ruder? Gina works hard on this site, and is kind enough to post great recipes that she doesn't charge us for, like other sites would. Maybe you should take yourself and your precious pocketbook elsewhere. This "anonymous" person is obviously the same person that posts a negative/rude comment on almost every one of Gina's recipes. OP – She posts a "surplus" of meat recipes because the majority of people DO eat meat. Secondly, how exactly is Turkey bad for us? That's a new one. Just because you may not eat meat, doesn't mean the rest of us can't, and doesn't mean that everybody should cater to YOUR eating habits. I suggest you google "vegetarian recipes" and stop being so rude. If there was a way to report your posts, I would. P.S – Since when is eating meat bad for the environment? And why is it bad for your pocketbook? So it is cheaper to just eat vegetables? Funny, because produce is VERY expensive, yet I can buy a family back of chicken thighs or drumsticks for $6. Not bad for your pocketbook if you shop smart. Cooking at home and staying fit is cheaper than having health issues from being overweight. Thank you Gina for making it easy to stay healthy and cook GREAT meals! Broccoli slaw! That the lost genius idea. I just discovered your blog, and I really want to try All your recepies, so many are bookmarked. Have a nice day! We only make Turkey burgers in our house! my kids say they could win "Best Burger". I put shredded apple, finely chopped spinach, feta cheese, ground almonds, seasoned crumbs, an egg, green onions, and garlic. My fave toppings are mashed avocado and hot banana peppers. Thanks Gina for all your recipes! How many points will the burger be without the slaw. I'm not a find of any kind of slaw. Nevermind! I see you already posted it. This is why I love this site so much. You do an excellent job. Thanks for your har work. I made these for supper tonight – wonderful!! My only piece of advice, invest in good quality blue cheese for the blue cheese dressing. I went for the down low, on sale blue cheese and the flavor was not strong. My husband and I both loved this recipe! thanks! Would Gluten Free Bread Crumbs work the same? think about that question… they are bread crumbs aren't they? They should work. Also, assuming you can't eat gluten, you've most likely substituted gluten bread crumbs in other recipes. It never hurts to ask – often the ratio isn't the same because due to whatever the crumbs are made of absorbency can differ. Do you purchase the seasoned breadcrumbs or make them yourself? If you do purchase them can you tell what brand you use? Generally I'm not a fan of turkey burgers, but I gave them a go last night and the flavor was excellent! I was also a bit skeptical about carrots in a burger, but I didn't even notice they were there. This is sure to become part of my regular rotation. In NYC broccoli slaw isn't always readily available and the market I popped into had only regular coleslaw mix, so I purchased that instead. I was also lazy and bought reduced fat blue cheese dressing. The flavor did not suffer. Next time Greek yogurt and blue cheese is on sale, I'm giving your recipe a try. I made these for lunch today – AMAZING!! I made these last night, and they were so yummy! Supper easy, and tasty… Can't get a better meal than that! Thanks Gina for all your receipes! You have allowed me to enjoy cooking, and actually love what I cook! This burger looks amzing. Did anyone see the Grill This Not That segement on the today show this morning? I am scared to ever go out and order a burger again! I love home made burgers and want to give making these a go, but can't get Franks Hot Sauce in the UK. Do you know what I could use as a substitute? Gina… once again I would lick my computer screen if no-one was looking!!! LOL!!! Will definitely be trying this one. Thank you for all your efforts…. I was actually discussing your website with my WW leader last night. This recipe looks so great. But ALL of your recipes are delicious. By using your website and recipes, along with a new exercise routine, I have lost 30 pounds since January! You have helped change my life just through your healthy and yummy recipes! Im not sure what broccoli slaw is & I didn't see th recipe for it. 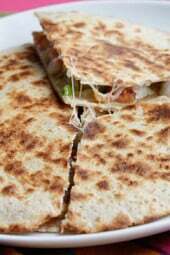 Does anybody know what it is or iwhere I would fnd te recipe for it? You find it in the produce section of the store near the coleslaw mix – it's in a bag. 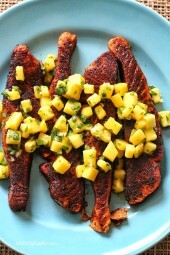 Awesome TY looks delish can't wait 2 make this!!!! Your recipes r delish!!!! hi…just wondering what the point value would be minus the slaw mixture?? i would still be keeping the bun and cheese though…you are amazing and i love all your recipes! These look delicious! 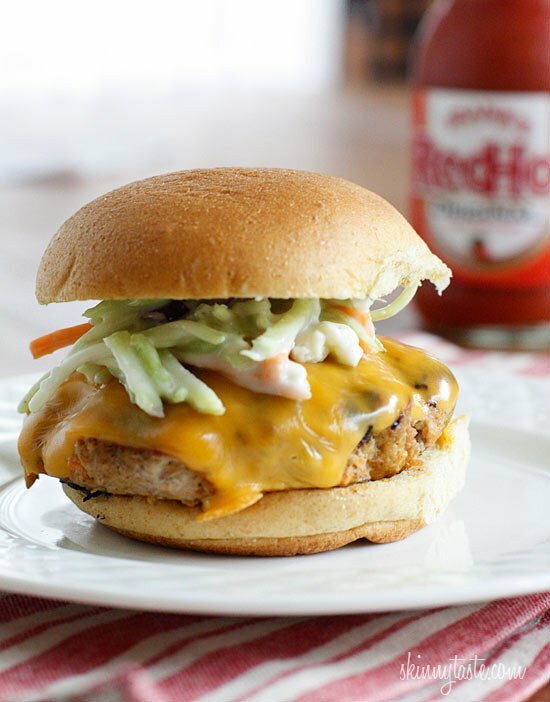 I love sneaking vegetables into burgers, and adding Frank's hot sauce…you can't go wrong! This looks delicious. Wondering if this could be made with ground chicken instead? P.S. I'm diabetic and have had to cut back on most of the foods I LOVE. Since my doctor and nutritionist told me to count carbs instead of sugar content, your recipes have been a Godsend. Thanks for this. Oh gosh, this looks so good! Made these for dinner last night. Outstanding. Can't wait for the leftovers at lunch. Love the fact that they are real juicy looking, they look amazingly good. Okay, since my husband makes THE best burgers and is particular about making them, but is also allergic to fins and feathers (don't ask! ), I will be making these for myself when he is out of town! YUM! I cooked these last night – I added Frank's buffalo sauce instead of the hot sauce. They were great & the slaw was amazing!! I was going to comment the same – Franks Wing sauce is what I use for anything "Buffalo". Slight distinction between it and the regular Frank's but OH so worth it!! Thanks for the gluten free idea. I never thought to use oats! this is a great idea, thanks gina! GINA!!!!!!!!! I totally had to change my meal plan and go to the store during my lunch hour when I saw this recipe! These were absolutely amazing! Not too spicy…just the right flavor! The only thing I changed was to add a little parsley to the meat before cooking. Thanks so much for all the wonderful recipes! Yay Meg, I'm glad you liked them! You're killing me here, Gina! I'm working tonight and this looks soooo good, will definitely pin! Gina could you make this with buffalo meat instead of turkey? If so, what would the points be? I dont know the nutrtion facts of buffalo meat to compare. Thanks! You sure can! Not sure off hand, it's similar to ground turkey. Yum! I love a good buffalo sauce! This hamburger looks good, and adding carrots sounds especially fun! I'm not even a buffalo fan and this looks amazing! My husband would go nuts over these!! Awesome recipe Gina! I love the way a reader comment turned into a whole new recipe and how you incorporated the shredded carrots into the burger meat. I bet the latter adds a lot of moisture and flavor. Yes it does, and I get so many great ideas from reader's comments! oh, I wish I thought of adding hot sauce to the mix. I just made your turkey zucchini burgers over the weekend. They were delicious as is, but this sounds even more amazing! Do you have a ranch dressing recipe? I'm not much of a fan blue cheese. thanks! Gina, will you marry me? I check your site everyday for the latest recipe, and you have yet to disappoint! Can't wait to take this recipe for a whirl. Thanks for "skinnying up" so many great recipes. NO LIE, I did a search on #skinnytaste for this exact thing on Monday! I'll be sure to use this recipe next time because lean ground turkey is so flavorless. Thanks, Gina! This will be great Gina, I have been making Buffalo Turkey burgers for 6 years now, my husband found a Rachel Ray recipe that is a hit at our house. Very similar to what you have here but celery is the veggie to mix it. Also it has grill seasoning and poultry seasoning in the patty as well. I'll make sure to try your Creamy Blue Cheese dressing + broccoli slaw next time we make them. Celery in the mix, great idea! What an excellent skinny burger recipe this is, Gina! They look just as mouthwatering as any beef burger I've ever seen. Thanks for sharing! I love this website! I've been feeding my "meat and potatoes" boyfriend your recipes and he doesn't even know we're eating healthy. A doc recently suggested I go gluten-free, something I've never paid attention to, so I'm even more grateful for your wonderful suggestions on adapting your recipes to be GF! Hi Gina, this recipe looks great! What is broccoli slaw? Do you buy it in a bag at the store? I love your turkey burger recipes. Ever since I started making recipes from your website, I've never used ground beef. And I've been getting creative about what vegetables to put into a turkey burger to make it more nutritious. Will definitely have to give this a try, but minus the 'slaw, but a huge fan of it. My kids aren't a huge fan of hot things but I love adding the veggies to the burgers and they never notice! I am not a buffalo flavor fan. But I am so making that slaw for your normal turkey burgers. What a great idea to change up our standard burgers. YUMMY! Great minds think alike! 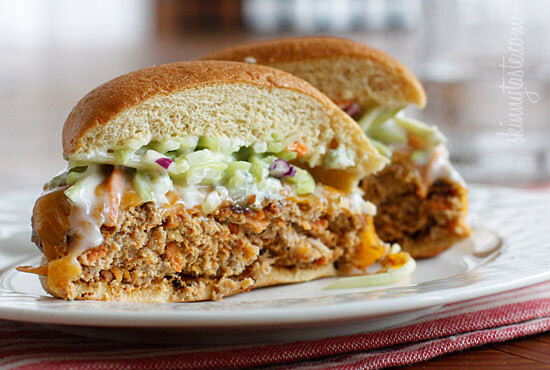 I made a Buffalo Chicken Burger a few weeks ago and your pics have my mouthwatering and me craving it all over again! You can never go wrong with the hot sauce blue cheese combo!